This post is sponsored. Opinions and content are mine, except where expressly indicated. If you're like many Americans this weekend, you'll be celebrating football with a generous side of pork. Economical, easy to prepare and of course delicious; pork is always a great choice for feeding a crowd. 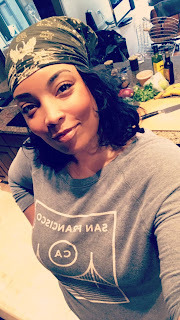 For this post, I've teamed up with the National Pork Board again to share another mouthwatering example of why pork is "The Taste of Now" making a great meal any day, any time. 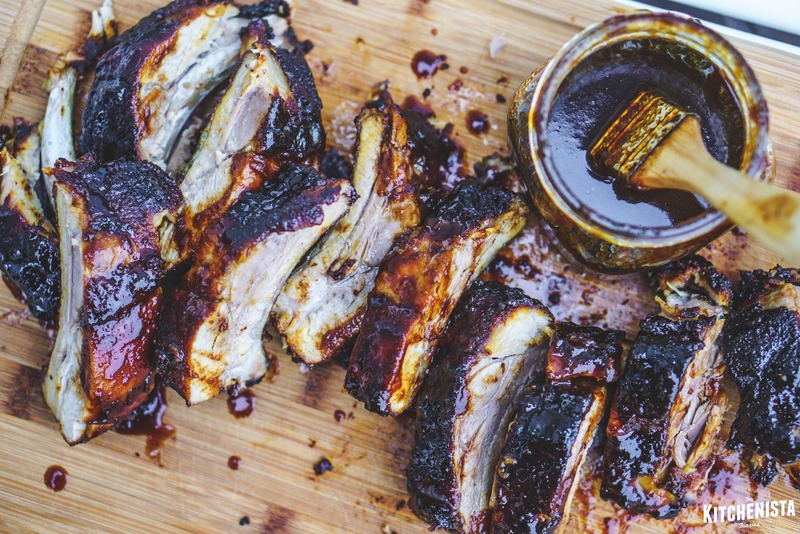 My Mango Jerk Ribs are going to be the star of your game day watch party. These spicy, saucy ribs also make a fantastic Sunday dinner when served with some Caribbean inspired side dishes. This recipe is extremely versatile and will work with baby back ribs or spare ribs. 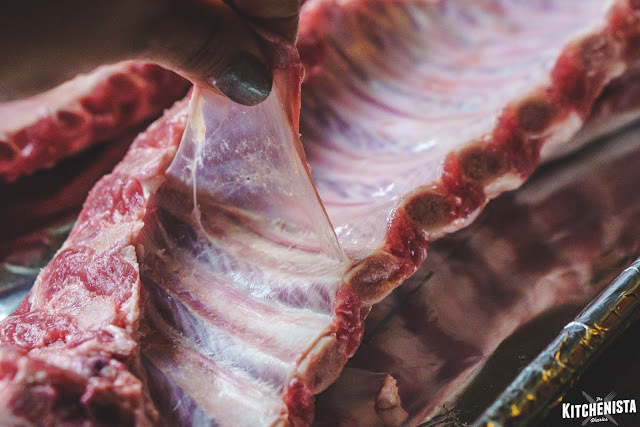 Because it's the dead of winter and a lot of my readers don't have access to a grill, I'm going to show you how to prepare the ribs indoors using your oven. 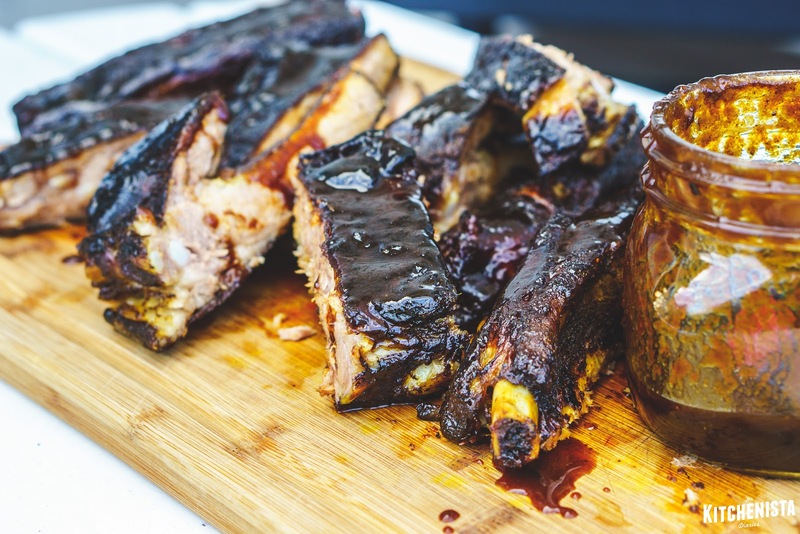 There are some barbecue purists who will tell you that ribs only need a good rub. I'm going to remind you that you should eat what you like and if that means coating your ribs in a thick, sticky barbecue sauce you should absolutely do that. Besides, we're already moving this party indoors so you can tell any barbecue gurus to sit this one out. Truth be told, there is nothing like smoked ribs if you're spoiled every summer by the real thing (my dad's are killer.) You can also make some outstanding ribs in the oven though, because ribs are one of the best cuts pork has to offer and it's pretty hard to screw that up. Remember the jerk marinade I used on my chicken skewers in the last post? I've tweaked it to make a really easy barbecue sauce. 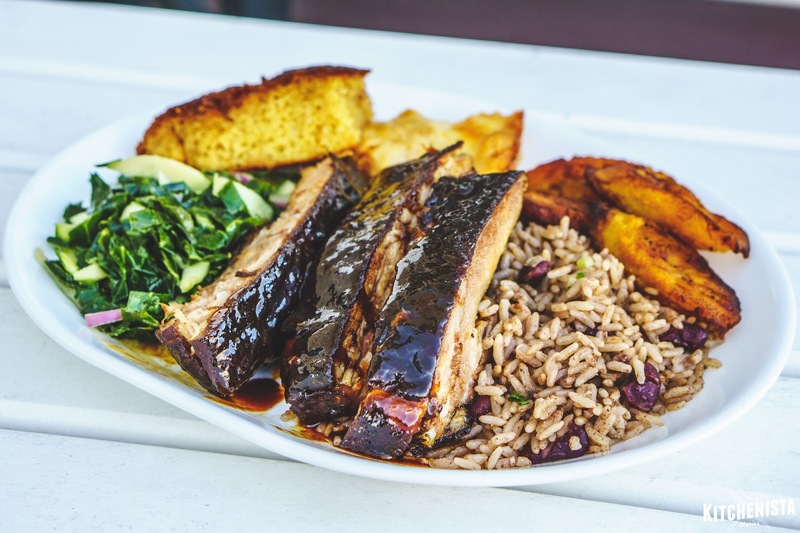 The heat of scotch bonnet peppers in this version of the jerk sauce is tempered by mango nectar and lots of thick, dark molasses that caramelizes under the broiler. I'm getting hungry again just looking at the photos, so let's get right into it! Make sure you also read on to the end to find out how your own pork-centric celebration can help you win some great prizes in a brand new #PorkBeInspired contest! Whether you're cooking ribs indoors or outdoors, the two most important things are salt and time. You'll be a hundred percent better off if you season your ribs the night before you cook them, allowing time for the salt to penetrate the meat. 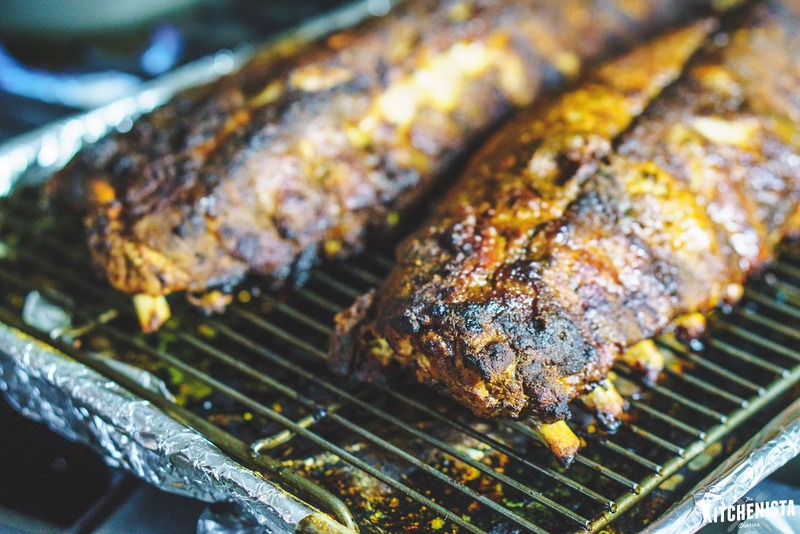 It will be juicier and have more of a bite, but most important be more flavorful than ribs seasoned just before cooking. First things first, always remove the silverskin from the back of the ribs. It's a really thin membrane that usually will pull off in one sheet if you grab it from the end. Sometimes it's done for you but double check if you think that's the case. Next, season your ribs generously. Measure out a good teaspoon of salt for every pound of meat that you have. Rub that into the meatiest side of both rib racks. Combine the curry powder, smoked paprika, brown sugar and black pepper to make your rub. Coat the ribs completely so there's a nice thick layer of spices; shake off any excess. It's easiest to do this on the same pan that you will cook the ribs on; lined with foil for easy clean up later. I forgot to start mine out on the rack in this step but you could certainly go ahead and use it now. 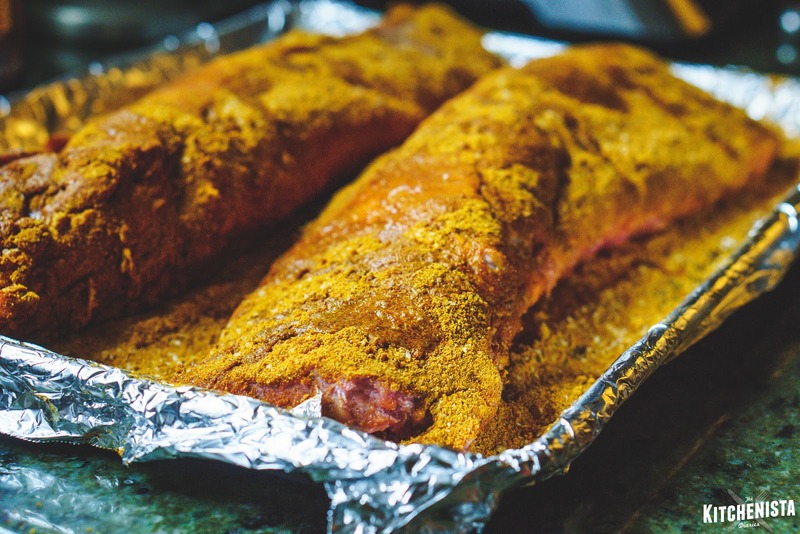 Once the ribs are seasoned, wrap the whole pan up with foil to completely seal the ribs in. Transfer to your fridge and allow it to marinate at least four hours but preferably overnight. The next day, preheat your oven to 275° F. The ribs should be placed on a rack if not already done in the first step. Keeping the ribs covered, cook for 2 hours for baby back ribs or 3 hours for spare ribs. Uncover the ribs. Finish cooking until the ribs are tender - a toothpick should be able to easily pierce the meat. This should take about another hour. Meanwhile, prepare the mango jerk sauce by combining all ingredients in the blender. Add a pinch of salt, to taste. I use mango nectar because it's easiest (no peeling!) and mangos are a little bland this time of year, but feel free to substitute fresh if you have it. The nectar does have a little sugar in it already so you may want to adjust accordingly if using fresh mango. The amount of heat is up to you, 2 scotch bonnets is enough to give it the signature jerk taste but 4 really stands up to the sweetness of the sauce in my opinion. I like it hot though! 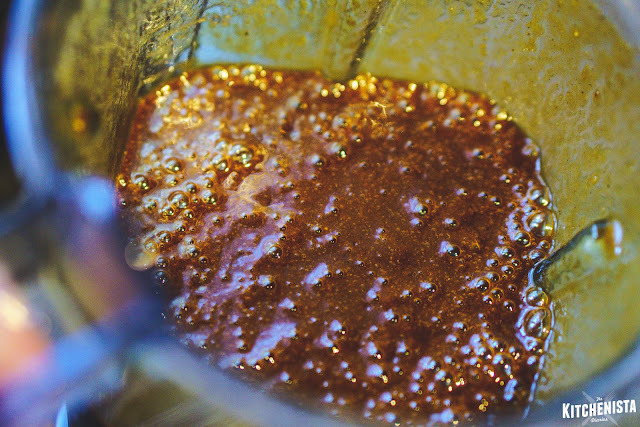 Once the sauce is blended and you've adjusted it to your liking, transfer it to a small pot and bring to boil. Reduce the heat just until it's gently bubbling and let it simmer for about 15 minutes until it thickens slightly. Set it aside until needed. After your ribs have cooked to tender perfection, it's time to sauce them up. You can wait until your guests arrive and do this step just before serving if you'd like. Preheat the oven to 350° F. Baste the ribs with a light coating of sauce and return to the oven for fifteen minutes, until the ribs are warmed through and the sauce is baked on. Then turn the oven up to a low broil. Baste the ribs again, this time a little more generously. Return them to the oven for 5 minutes or until the sauce begins to caramelize and char in a few spots. Rest the ribs for 5 minutes before slicing in between the bones to serve, with more sauce on the side! I completed our meal with a side of coconut rice and peas, apple ginger collard slaw, cornbread, macaroni pie, and fried plantains. It was the kind of plate I'd expect to see in heaven. Literally finger lickin' good. Now it's your turn to celebrate America’s love of pork! Share a photo of pork on your fork with the National Pork Board for a chance to win $10 off fresh pork. 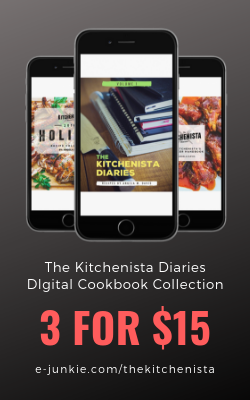 There's more than $10,000 worth of other prizes up for grabs, including cookbooks, kitchen gear and an all-expenses-paid trip to Memphis in May World Championship Barbecue Cooking Contest. To enter the contest, simply share how pork is "The Taste of Now" in your home. Tweet or Instagram a pic of your pork dish with the hashtag #PorkNowSweeps, or by entering on the Pork Be Inspired Facebook page. Visit Pork Be Inspired for more recipe ideas and visit your nearest retailer to pick up those game day ribs! 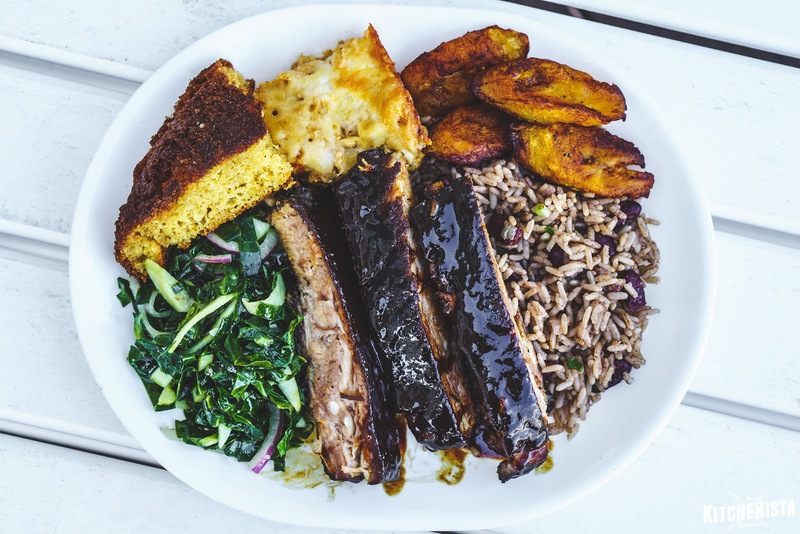 But, where is the recipe for the coconut rice that is in the picture with the ribs?